Funny story. 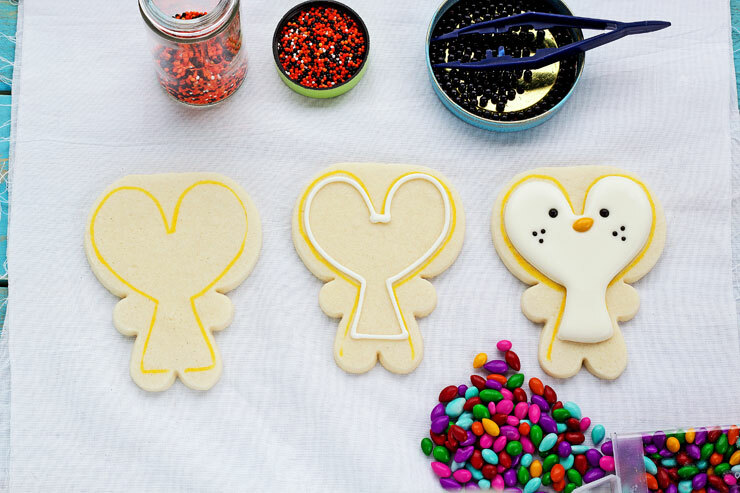 I made some really cute penguin cookies that are super simple to make. I needed to take a picture of them and I like to use natural light whenever possible so I place the penguins on one of my prop boards and took it outside my kitchen door so I could use what little natural light that was left. Guess what? It started raining. Let me just say that rain, a camera and sugar cookies don’t play well together. Nope. They don’t play well together at all so I ran like a wild woman trying to bring everything back into the house. That was the first and the last time I will take cookies outside for a photo shoot. Do you see those little sparkles on the cookies? Well, that is rain drops. I guess since penguins live near the water and love to swim that is alright if mine got a little sprinkle. But seriously, don’t try this at home or you won’t be able to eat the cookies. Poor little wet penguins. Don’t worry. I still love ya. Black and Orange Sprinkles but you are only going to use 6 black sprinkles or you can use black icing. To begin, draw a pattern on the cookie with the food safe marker. 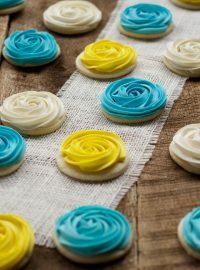 You may need to use a lighter color such as yellow so it won’t bleed through the white icing. Once your pattern in drawn on the penguin, outline and flood with the white icing. As you can see, I drew the pattern and then, piped the line on the inside of the pattern because I wanted to make sure there was enough room for the black icing. While the icing is wet, add the edible beads for the eyes, the chocolate covered sunflower, and the sprinkle freckles. Let the icing dry overnight. Next, outline and flood the body of the penguin cookies with the black icing and let it dry completely or overnight. I forgot to take the picture of the feet, but just pipe two little yellow feet. Then take your penguins cookies outside so you can sing in the rain. Just joking. You can pack them up and share with your friends or keep them all for yourself. Whatever you do, don’t forget to feed them some fish. They’re hungry after all that singing and dancing in the rain. 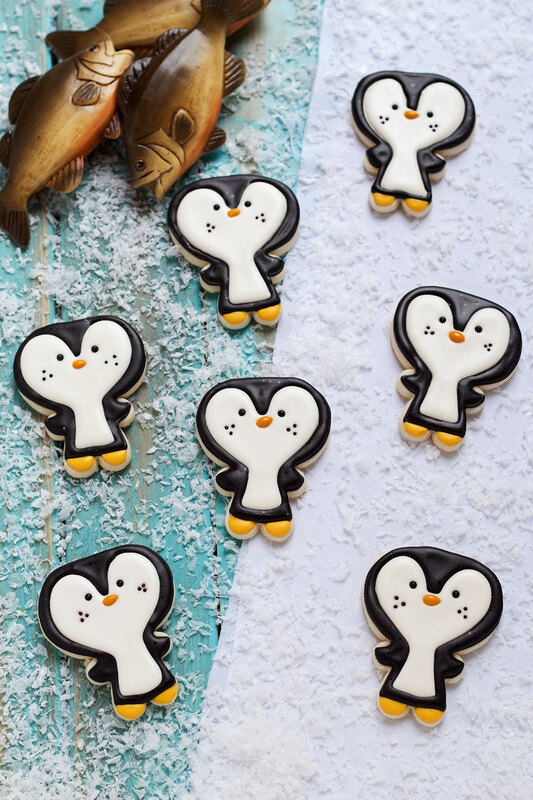 I love penguin Christmas cookies, they are always so cute and these are no exception. 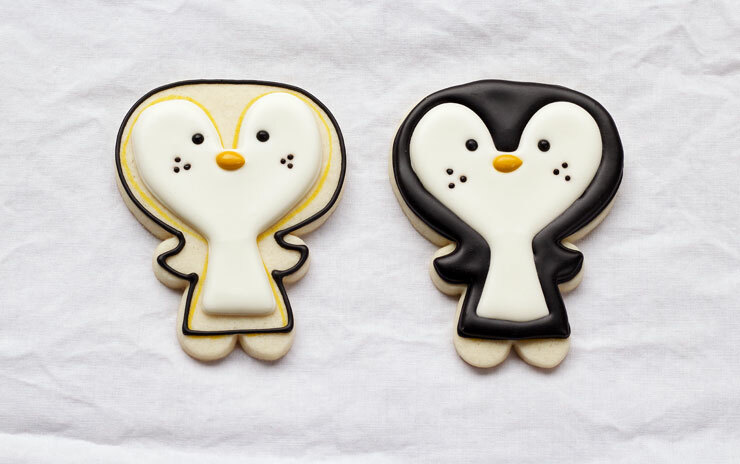 I love penguins and your cookies are too cute even with little raindrops on them. I have had to run like a crazy lady trying to bring things in from the rain, no cookies yet! I love your little Penguins, raindrops and ALL! 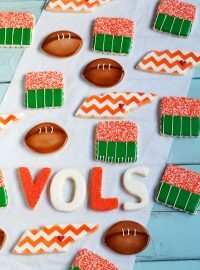 So cute biscuits!!! I love penguins so much! This biscuits are just gorgeous! 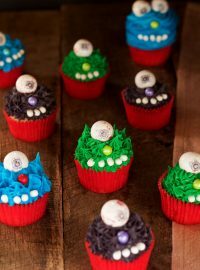 And these are amazing, too. 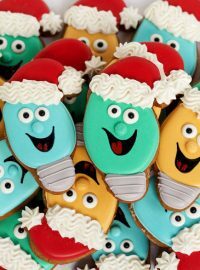 I’m glad there wasn’t a downpour so that we could see these cute cookies! 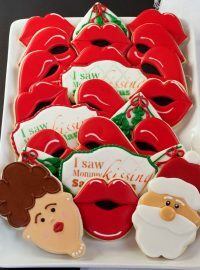 They are precious, and I think I need that cutter ASAP! 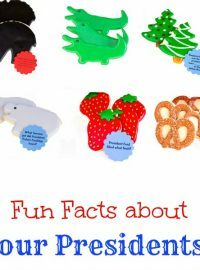 I so love these…hoping to make for Christmas this year.